The Christian message cannot be imposed; it must win hearts and minds by its own integrity and the quality of the lives of those who profess it, Archbishop Diarmuid Martin said on Tuesday. In his homily at the opening Mass for the autumn episcopal conference in Maynooth, the Archbishop discussed the need for renewal in the Church. He said the lay Christian has a special calling to bring the message of Jesus into the realities of the world in which we live, not as a representative of the bishops, but as the fruit of a specific Christian calling and commitment. “Ensuring the presence of the Christian message in the complex mechanisms of today’s world is a task particularly for lay men and women,” he said and added that it was not a task of prosyletism. Addressing a gathering which he said brought together men and women, lay and clerical, religious and bishops, all of whom work together in support of a wide range of services and aspects of the Church’s mission in today’s Ireland and other parts of the world, he said it was a meeting of people who love the Church. 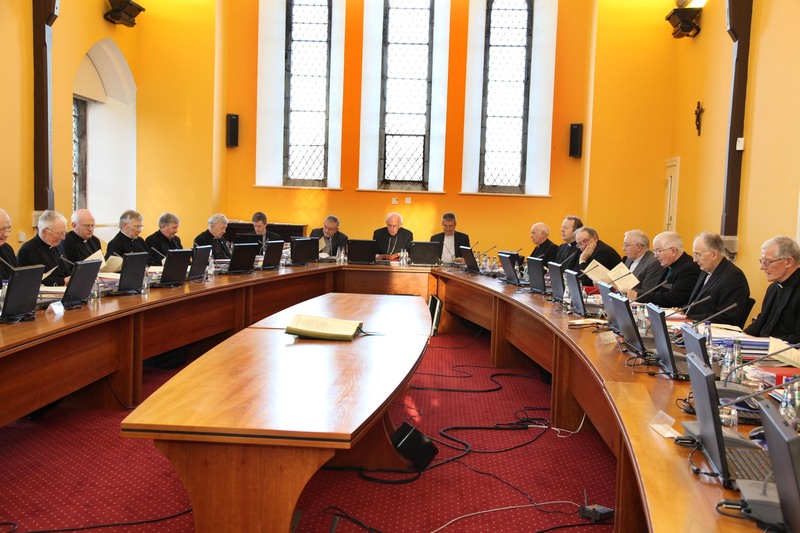 At the same time, the Primate of Ireland said the Christian cannot expect a privileged hearing in a pluralist society. “It may be necessary to fight one’s corner,” but he underlined that if fight means that you advance the consequences of your values with wisdom and coherence and conviction, then that fight must take place vigorously within the democratic framework and must not be excluded from the democratic process just because it bears within it a Christian tag. If, however, it means calling down fire from heaven, “then we are on the wrong track,” he warned. The renewal of the Church and our mission to witness to Jesus Christ demands that the Church becomes more and more one which reaches out. “We need doors through which those who enter then go out enthusiastically into the realities of day to day living and into society, witnessing to that message of Jesus in their lives,” the Archbishop said.